To formulate a flood design for a building or project, FEMA zoning classification for the site location must be obtained. This will define what the code requirements are for floodproofing (wet and dry) in that particular location site; or if flood proofing is allowed at all (See FEMA Map Service Center). The following certificates will also be required to be completed. 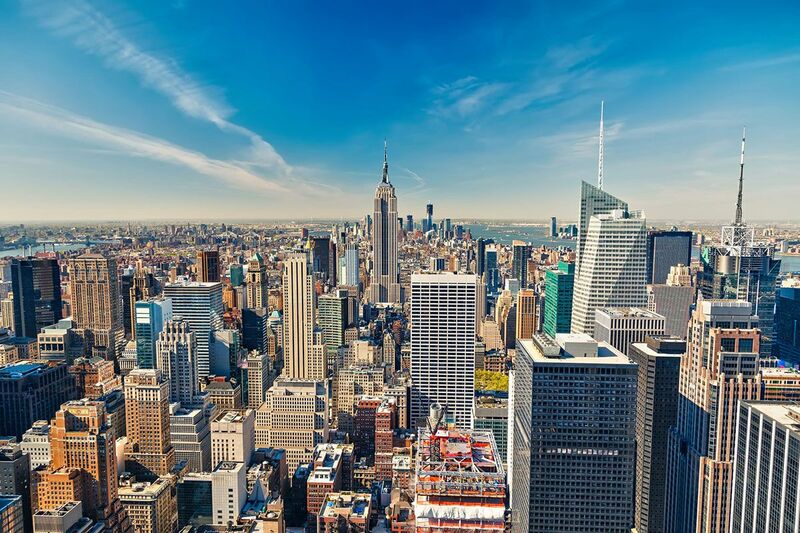 In the event a building requires flood proofing, an elevation certificate for the site will be needed to confirm the vertical height requirement for flood protection. The requirement is called Design Flood Elevation (DFE) and is calculated as follows: Designed Flood Elevation = BASE flood elevation + 1 foot for NFIP insurance purposes. The DFE for the building is further defined as the height to which all the load-bearing (walls/barriers) surfaces must be by code engineered (See ASCE 7-02 combination load calculations) to withstand the hydrodynamic and wind forces connected with a storm event. Once the above information has been gathered, it will be necessary to complete the Flood Certificate. 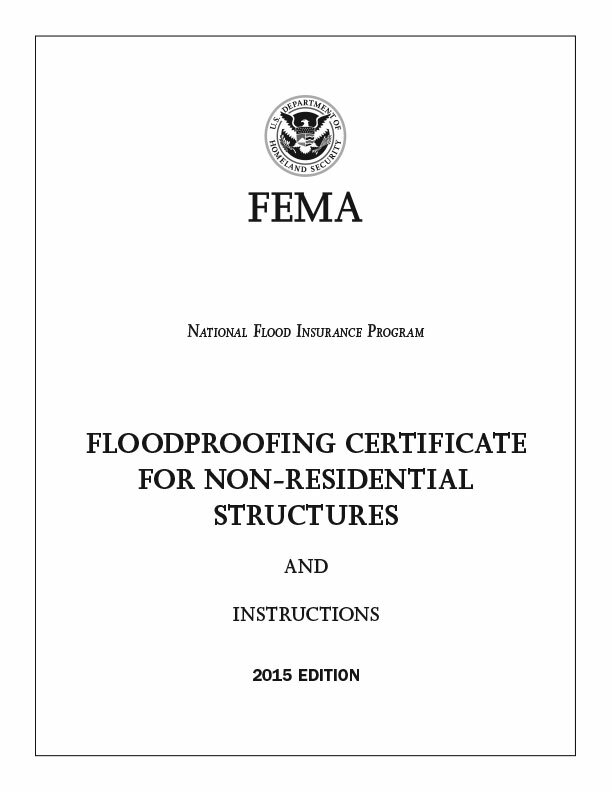 A flood certificate is a document that determines the flood zone status of real property. It includes a section stating “The Design Professional Of Record” has addressed all the requirements of the Flood Certificate. This certificate is necessary when applying for a building permit that has the requirement or desire to flood proof the building or structure. See example below. 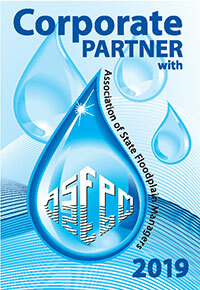 Let Flood Panel™ be your “Design Professional of Record” to insure that you’re meeting all federal requirements. Please click on image to open as a PDF in a new window. 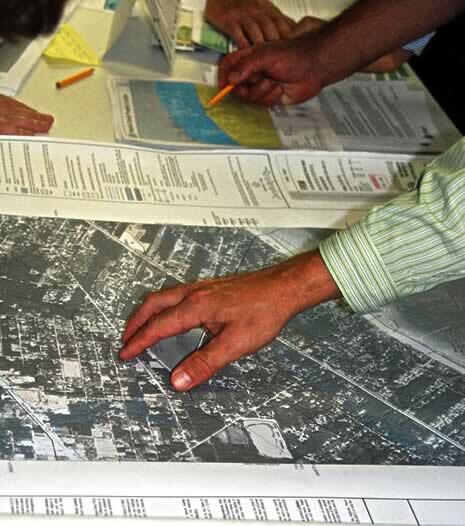 On December 11, 2007, Bay St. Louis, MS residents look at new preliminary flood maps at an open house in Hancock County. The event kicks off community adoption of the Digital Flood Insurance Rate Maps to meet requirements of the National Flood Insurance Program. 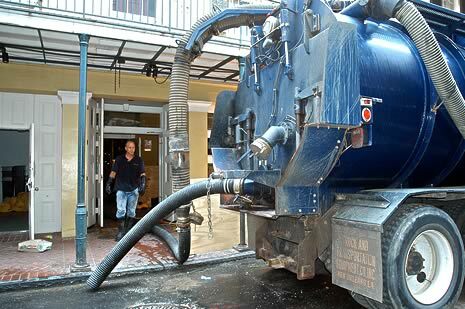 New Orleans, September 17, 2005: A commercial vacuum truck cleans out the waters left behind by Hurricane Katrina from a business in the French Quarter.